So Jun Takeuchi, the Capcom executive Producer on Resident Evil 7 and others, did an interview recently with Japanese magazine Famitsu concerning the future of Capcom’s games. He discussed quite a few things, from how Capcom has been expanding to a degree that they could end up being able to handle four separate AAA titles at once (as opposed to one major game every few years and smaller scale ones in between — think the difference between REmake 2 and Revelations 2). He notes how great it’s been working with the RE Engine and all of its advancements, specifically citing REmake 2 and Devil May Cry 5, but actually having to create the costumes and so forth is up to ten times as expensive. One comment, in particular, caught our eye, though. When discussing the future of Resident Evil, and how important it is to take everyone’s ideas into consideration, he mentions that there is an unannounced title currently in development. Uh, that’s an interesting way of putting that. A year or so back, Resident Evil Revelations 2 director Yasuhiro Anpo revealed that he was working on an as-of-yet unannounced project and that it was something we should look forward to. Now my assumption had been that it was probably Revelations 3, but Takeuchi’s wording, that we’d be surprised by whatever they’re making, gives me pause. Of course, there’s the chance that the two projects are completely unrelated, so keep that in mind. So if we rule out Revelations 3, what else could surprise us? Just to add speculation and flavor to what he said a bit, the surprise title he’s talking about is not a Resident Evil game, and is pretty far along in development. Almost assuredly going to be announced next year and released the year after. Hrm. Then what could it be? Capcom has a long, long list of games from their stable that (at least I would consider) would be a major surprise to them working on. Clock Tower, Power Stone, Viewtiful Joe, etc. There have been rumors floating around that they could be working on a true Marvel vs Capcom 4 after the relative failure of Marvel vs Capcom Infinite. But something that would make us all go “wow, they’re working on that?”… this is just my own speculation, but let’s look at the cards on the table shall we? In March of 2017, Resident Evil 7 producer Masachika Kawata talked about a series that he would love to see return and that it would be a very exciting prospect. Last December, that same series was mentioned by Capcom’s Dev1 twitter account as being something they would bring back if enough people wanted it. 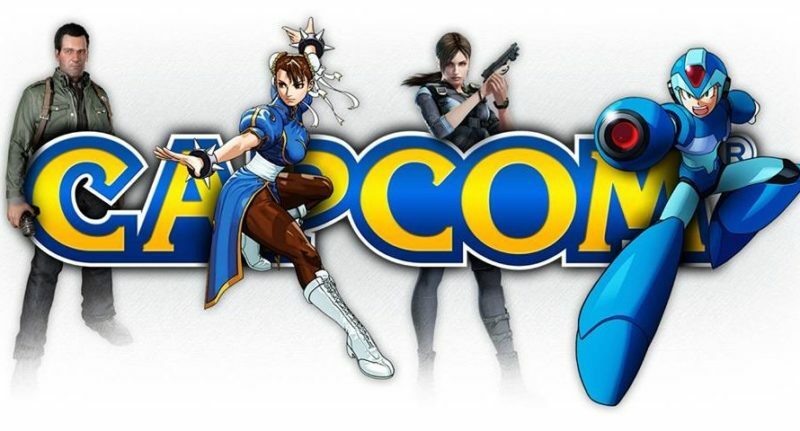 Then, earlier this year, Capcom announced that they wanted to pursue more remakes and remasters after REmake 2, and one series they could be working on jumped to mind. That series was Dino Crisis, Resident Evil‘s sister horror series, and the timeline just about ads up. Again, that’s my speculation, and lord knows my speculation is fairly often totally off, but it’s worth keeping in mind. For all we know, we’ll be going “they’re making that?” because it’s Umbrella Corps. 2: Battle Royal. Please, don’t though. Please please please don’t be doing that. We’ll keep you updated as more information surfaces. The Video Game Awards are tomorrow night, and there’s reportedly upwards of ten brand new game announcements being shown off, so maybe, just maybe, whatever this is will be there.